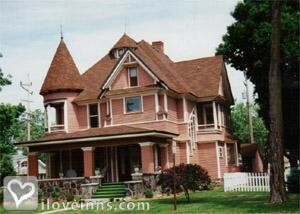 Nappanee bed and breakfast travel guide for romantic, historic and adventure b&b's. 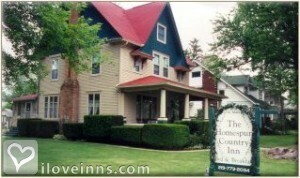 Browse through the iLoveInns.com database of Nappanee, Indiana bed and breakfasts and country inns to find detailed listings that include room rates, special deals and area activities. You can click on the 'check rates and availability' button to contact the innkeeper. Nappanee is a city located in the state of Indiana. This actually is also a part of two counties, Elkhart and Kosciusko. Although it is not really a very big city, Nappanee has been able to amaze visitors and tourists with several interesting spots. Among the most popular is Amish Acres, a historical site almost a mile from the center of the city. This farm of 80 acres was built in 1874. Another must-see spot is the Borkholder's Dutch Village. This is where the best specialty shops are found. There are a number of Nappanee bed and breakfast inns that are nearby these destinations. Nappanee is also famous for holding annual festivals that are really fun and well-attended. The Arts and Crafts Festival displays the best works of artists. On the other hand, the Apple Festival is a great occasion for getting a taste of all delicious food made of local grown apples. By Homespun Country Inn. The Amish life becomes Nappanee's quiet demeanor. There's a combination of antique and modern architecture with both 19th century storehouses that sell home decor items and food, boutiques, and a lot of other enterprises. You can enjoy movies on a Saturday evening at the Nappanee Theatre and retire afterwards at any Nappanee bed and breakfast. Sip of some of the finest wines at the Amish Acres Wine Tasting Loft. Mullets Dining offers some of the best Amish home-made delicacies so be sure to dine there. For the chocolate lover, you can enjoy some of the best hand-dipped chocolates at Veni's Sweet Shop. By Homespun Country Inn.